Josep Ruà. Estudio Diseño de Interiores, Exteriores y Decoración. | Victoria Planet. CLIENT_Victoria shoes. CAMPAING TITLE_Victoria´s Planet. 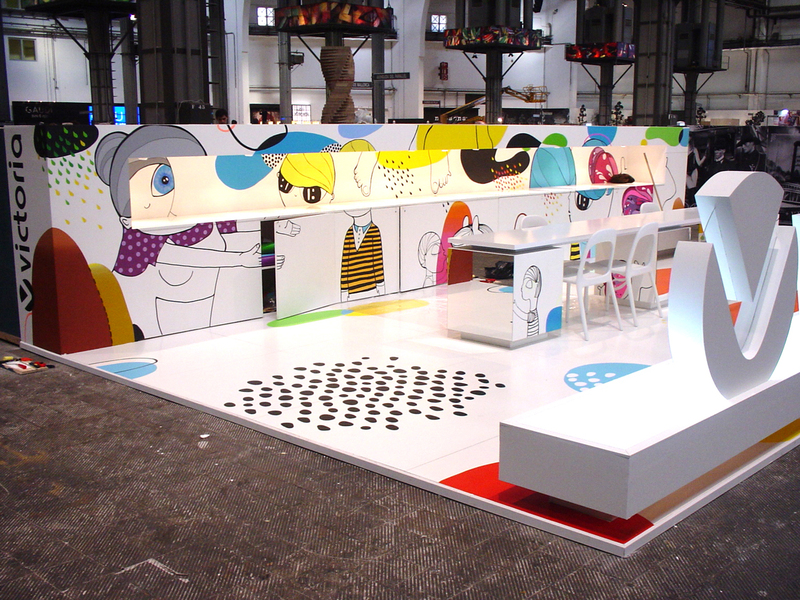 LOCATION_ Bread & Butter Berlin,MICAM-Milan. Modacalzado-Madrid. YEAR_2009. COLLABORATORS_Valero Doval & Marta Abad. 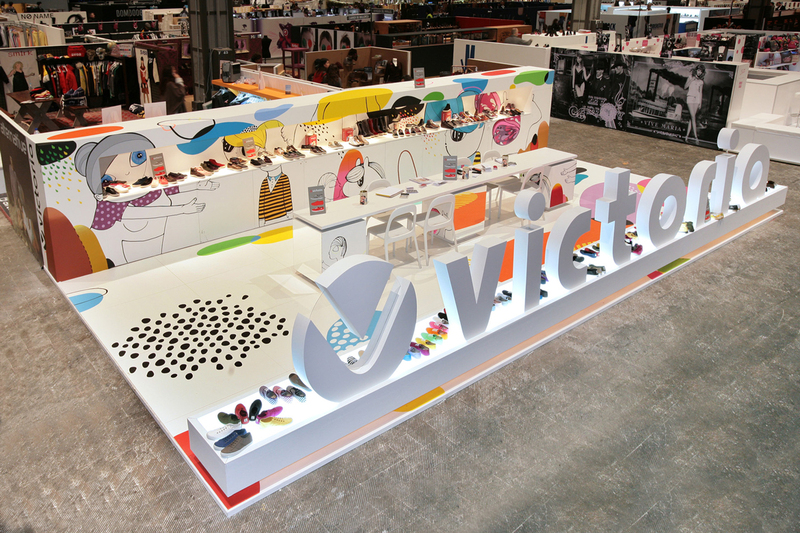 ABOUT_ The Victoria’s footwear collection used to set an imaginative and striking project, linked with the trend that wrapped the Victoria’s footwear. The project’s target was to involve the visitor and relocating him to a new optimistic world: “Victoria’s Planet”. It was about an imaginary planet into a real world. The Victoria Planet was a sensory world which represented the paradoxes of the world we live in. Was full of characters, colors and textures, where the color of the water was degraded, tattooed trees and spotty clouds. 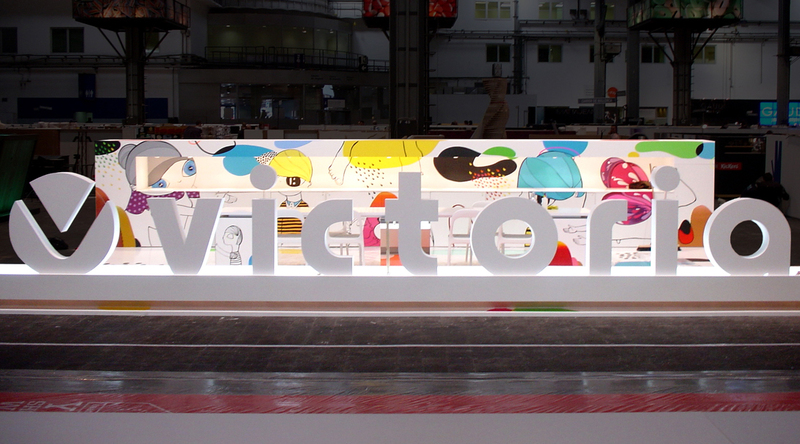 Aesthetically the stand has been divided into 3 parts: water, land and air giving birth to the “Victoria’s Planet”. The 3 parts’s drawings got different colors and textures like Victoria’s shoes. Illustrations are painted in situ with acrylic paint and adhesive vinyl.